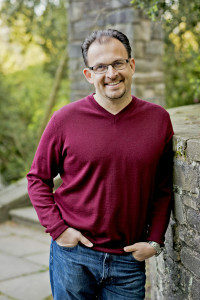 Dr. Garbis is a native of Gaithersburg and a graduate of the University of Maryland, College Park. He earned his Doctorate of Dental Surgery from the University of Maryland, Baltimore College of Dental Surgery, where he was selected for the Advanced Prosthodontic Clerkship. During his education and residency, Dr. Garbis was cited for several awards, including the Harry B. Schwartz Award for excellence in fixed prosthodontics and the American Student Dental Association’s Award for outstanding leadership and dedication to the community. We offer aesthetic dental solutions to enhance the appearance and function of your smile and improve your overall confidence. Restorative dentistry is used to restore the strength and beauty of your smile. We offer solutions to preserve your natural teeth and tooth replacement options. Your child should visit the dentist with eruption of the first tooth or by their first birthday. We will screen your child’s mouth for tooth decay and gum disease. Periodontal (gum) disease is the result of too much bacteria building up onto your teeth and gums. We can help prevent the onset or advance of periodontitis. Straight teeth can help you effectively bite, chew and speak. When teeth are properly aligned, they are easier to clean, making them less prone to decay and gum disease. If you are feeling soreness or tenderness in your jaw, you should schedule an appointment in order to receive a proper diagnosis and to explore your treatment options.